Fast fashion industry is not only killing our style and wardrobe – it is also destroying our planet and many lives around the world. If you still have any doubts, read our list of why you should quit fast fashion, like now. 1. You are not a clone, why would you look like everyone else? 2. You want quality clothes, don’t you? When you buy vintage, you can be sure that you are purchasing quality clothes and accessories. Vintage items were produced before the textile industry shifted to low-quality textiles and moved its factories to China, India and Bangladesh in the 1990s. If a shirt is still good after 20 years of its production, it stood the test of time. You will have no problem wearing it in the next 20 years! This long lifetime makes vintage items durable and eco-friendly – which is hardly true of fast fashion clothes which fall apart after only a few wears. 3. 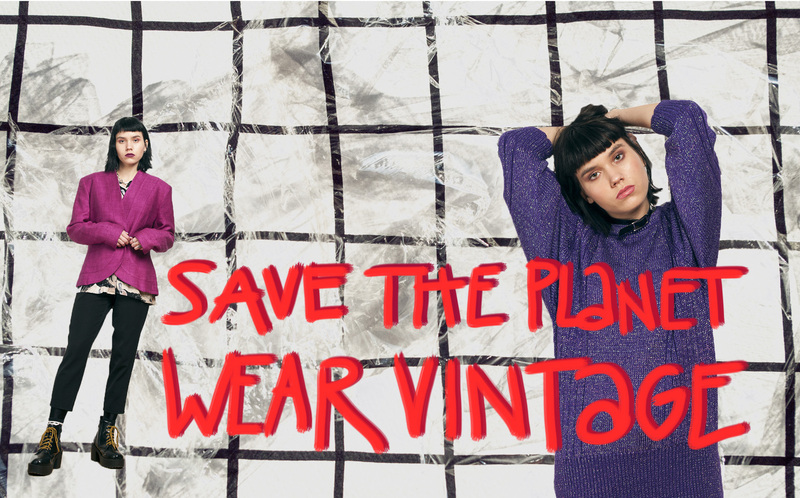 Fast fashion is killing our planet! 4. Fast fashion leads to overconsumption and overproduction. 5. Fast fashion buyers are part of modern-day slavery. The next time you buy fast fashion, remember the catastrophic environmental and human impact. Even better if there was no next time! You will, however, still need clothes to wear, so, watch out for our next post on why you should totally fill up your wardrobe with vintage!